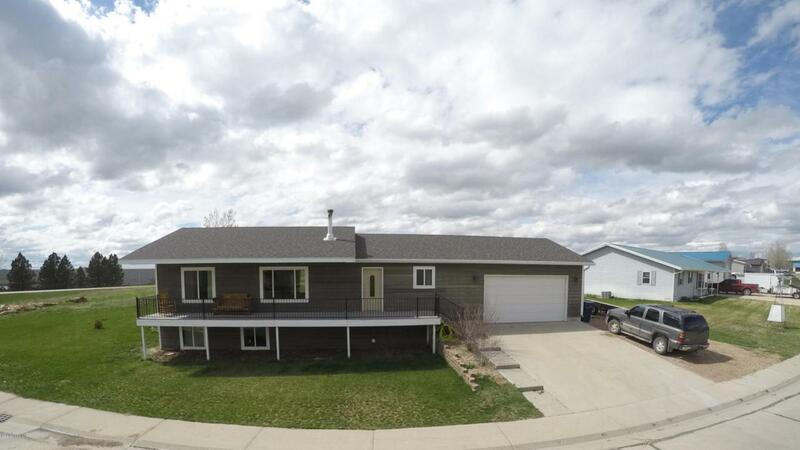 Check out this ranch style home conveniently located in Moorcroft. Featuring 5 bedrooms and 3 bathrooms this home is across the street from a city park. The main level has an open concept living, dining and kitchen with vaulted ceilings. The master bedroom has a his and hers closet and sports a five piece master bathroom complete with a jetted tub. Two other bedrooms and a full-size bathroom complete the main level. Downstairs two bedrooms, a 3/4 bathroom and a good size laundry room have been completed. A room with a window could be finished as an additional bedroom or storage room. The only thing the basement lacks is your choice of flooring and trim. Please call/text Brian Darrington @ 307-689-1458 to schedule your own private showing today! Garage Remarks Over-Sized Two Car!